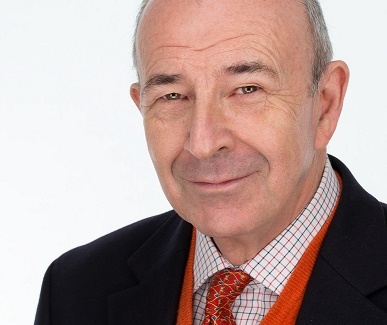 Biography: Erol Gelenbe a Fellow of IEEE, ACM and IET (UK), is a Professor in the Electrical and Electronic Engineering at Imperial College . 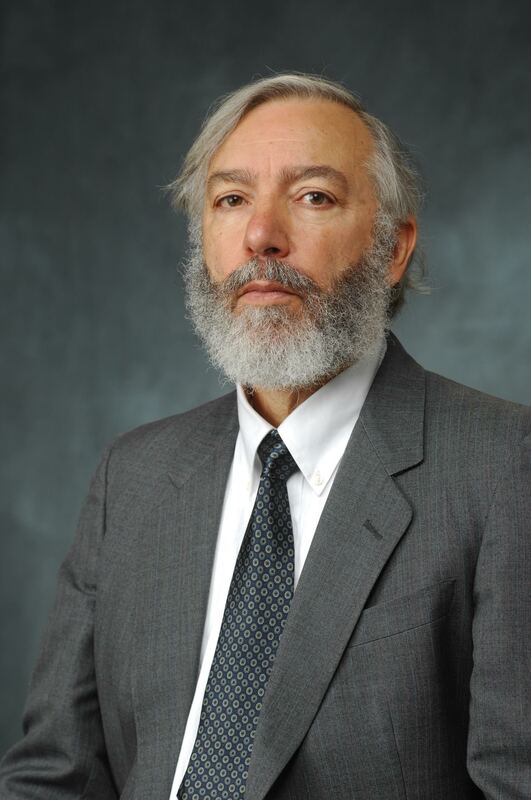 He introduced performance models based on diffusion approximations, invented the Random Neural Network Model, as well as the G-Networks, solvable performance models incorporating control functions, such as work removal and load transfer and balancing, and developed the concept for FLEXSIM, an object oriented discrete event simulation approach for flexible manufacturing systems . These methods were integrated into commercial software such as QNAP for the Performance Evaluation of Computer Systems and Networks, and FLEXSIM. His designs include the SYCOMORE multiprocessor packet switch, the fibre optics random access network XANTHOS, the first fully implemented Software Defined Network CPN (Cognitive Packet Network) and its adaptive routing protocola. He has contributed optimal protocols for random access communications, and optimum check-points for databases. He currently works on the interaction between Energy Consumption and Quality of Service in ICT, and on the security of Mobile Networks. His awards include the In Memoriam Dennis Gabor Award 2013 , the 2010 IET Oliver Lodge Medal , 2008 SIGMETRICS Life-Time Achievement , the 1996 Grand Prix France Telecom of the French Academy of Sciences and the Parlar Science Foundation Award (Turkey, 1994). He was made an Officer of the Order of Merit (France), a Grand Officer of the Order of the Star (Italy), and a Commander of Merit of Italy. Abstract: Various sources point to annual electrical energy consumption by ICT of roughly 1500 TWH per year worldwide , similar to the total electricity consumption of two major industrial economies, namely Japan and Germany, and equal to about 10% of the total electricity consumption in the world. For instance, in the UK, it is estimated that the new £20 Billion nuclear generators at Hinckley point will not suffice to cover the UK’s electricity needs for ICT. Next to that we must point to the potential for reducing energy consumption in other areas of the economy through the judicious use of ICT, but we must also recognise that ICT itself is a major and increasing consumer of electricity and that if this increase persists, it may raise questions of social acceptability and of cost. Thus this presentation will dwell on three approaches, drawn from our recent work, that can reduce or mitigate this growth. The first approach is to balance Quality of Service against energy consumption . The second approach is to use Energy Packet Networks to dynamically manage energy flows among different components of a complex computer system that may include sensors or actuators, servers, and diverse sources of stored and renewable energies, so as to optimise a composite function that combines the types of energy used, the amount of stored energy, and the prioritised backlog of work [3,4]. The third approach is to revisit the way we encode information so that small numbers of elementary particles may represent or convey large amounts of data . E. Gelenbe and Y. Caseau. The impact of information technology on energy consumption and carbon emissions. Ubiquity 2015 (June), 1, 2016. E. Gelenbe and R. Lent. Optimising server energy consumption and response time. Theoretical and Applied Informatics 24 (4), 257, 2012. E. Gelenbe. Synchronising energy harvesting and data packets in a wireless sensor. Energies 8 (1), 356-369, 2015. E. Gelenbe and E. T. Ceran. Energy packet networks with energy harvesting. IEEE Access 4, 1321-1331, 2016. E. Gelenbe. Errors and power when communicating with spins. IEEE Transactions on Emerging Topics in Computing 3 (4), 483-488, 2015. 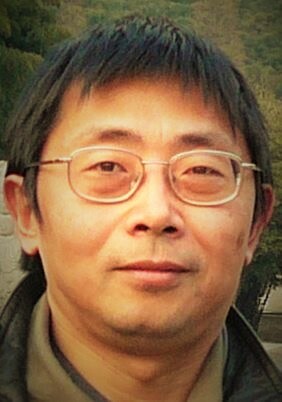 Biography: Jun Wang is the Chair Professor Computational Intelligence in the Department of Computer Science at City University of Hong Kong. 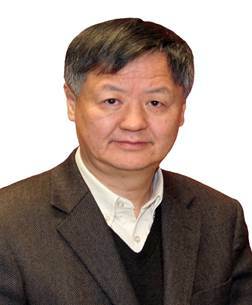 Prior to this position, he held various academic positions at Dalian University of Technology, Case Western Reserve University, University of North Dakota, and the Chinese University of Hong Kong. He also held various short-term visiting positions at USAF Armstrong Laboratory, RIKEN Brain Science Institute, Dalian University of Technology, Huazhong University of Science and Technology, and Shanghai Jiao Tong University (Changjiang Chair Professor). He received a B.S. degree in electrical engineering and an M.S. degree in systems engineering from Dalian University of Technology and his Ph.D. degree in systems engineering from Case Western Reserve University. His current research interests include neural networks and their applications. He published about 200 journal papers, 15 book chapters, 11 edited books, and numerous conference papers in these areas. He is the Editor-in-Chief of the IEEE Transactions on Cybernetics. He also served as an Associate Editor of the IEEE Transactions on Neural Networks (1999-2009), IEEE Transactions on Cybernetics and its predecessor (2003-2013), and IEEE Transactions on Systems, Man, and Cybernetics – Part C (2002–2005), as a member of the editorial board of Neural Networks (2012-2014), editorial advisory board of International Journal of Neural Systems (2006-2013. He was an organizer of several international conferences such as the General Chair of the 13th International Conference on Neural Information Processing (2006) and the 2008 IEEE World Congress on Computational Intelligence, and a Program Chair of the IEEE International Conference on Systems, Man, and Cybernetics (2012). He has been an IEEE Computational Intelligence Society Distinguished Lecturer (2010-2012, 2014-2016). In addition, he served as President of Asia Pacific Neural Network Assembly (APNNA) in 2006 and many organizations such as IEEE Fellow Committee; IEEE Computational Intelligence Society Awards Committee; IEEE Systems, Man, and Cybernetics Society Board of Governors, He is an IEEE Fellow, IAPR Fellow, and a recipient of an IEEE Transactions on Neural Networks Outstanding Paper Award and APNNA Outstanding Achievement Award in 2011, Neural Networks Pioneer Award from IEEE Computational Intelligence Society (2014), among others. Summary: The past three decades witnessed the birth and growth of neurodynamic optimization which has emerged and matured as a powerful approach to real-time optimization due to its inherent nature of parallel and distributed information processing and the hardware realizability. Despite the success, almost all existing neurodynamic approaches work well only for convex and generalized-convex optimization problems with unimodal objective functions. Effective neurodynamic approach to constrained global optimization with multimodal objective functions is rarely available. In this talk, starting with the idea and motivation of neurodynamic optimization, I will review the historic review and present the state of the art of neurodynamic optimization with many individual models for convex and generalized convex optimization. In addition, I will present a multiple-time-scale neurodynamic approach to selected constrained optimization. Finally, I will introduce population-based collaborative neurodynamic approaches to constrained distributed and global optimization. By deploying a population of individual neurodynamic models with diversified initial states at a lower level coordinated by using some global search and information exchange rules (such as PSO and DE) at a upper level, it will be shown that many constrained global optimization problems could be solved effectively and efficiently. Biography: Mohammed Atiquzzaman (Senior Member, IEEE) obtained his M.S. and Ph.D. in Electrical Engineering and Electronics from the University of Manchester (UK) in 1984 and 1987, respectively. He currently holds the Edith J Kinney Gaylord Presidential professorship in the School of Computer Science at the University of Oklahoma. Dr. Atiquzzaman is the Editor-in-Chief of Journal of Networks and Computer Applications, the founding Editor-in-Chief of Vehicular Communications, and serves/served on the editorial boards of many journals including IEEE Communications Magazine, Real Time Imaging Journal, International Journal of Communication Networks and Distributed Systems and Journal of Sensor Networks and International Journal of Communication Systems. He co-chaired the IEEE High Performance Switching and Routing Symposium (2003, 2011), IEEE Globecom and ICC (2014, 2012, 2010, 2009, 2007, 2006), IEEE VTC (2013) and the SPIE Quality of Service over Next Generation Data Networks conferences (2001, 2002, 2003). He was the panels co-chair of INFOCOM’05, and is/has been in the program committee of many conferences such as INFOCOM, Globecom, ICCCN, ICCIT, Local Computer Networks, and serves on the review panels at the National Science Foundation. He is the current Chair of IEEE Communication Society Technical Committee on Communications Switching and Routing. Dr. Atiquzzaman received IEEE Communication Society's Fred W. Ellersick Prize, and NASA Group Achievement Award for "outstanding work to further NASA Glenn Research Center's effort in the area of Advanced Communications/Air Traffic Management's Fiber Optic Signal Distribution for Aeronautical Communications" project. He is the co-author of the book “Performance of TCP/IP over ATM networks” and has over 270 refereed publications, available at www.cs.ou.edu/~atiq. His current research interests are in areas of transport protocols, wireless and mobile networks, ad hoc networks, satellite networks, power-aware networking, and optical communications. His research has been funded by National Science Foundation (NSF), National Aeronautics and Space Administration (NASA), and U.S. Air Force, Cisco and Honeywell. Abstract: Data communications between Earth and spacecrafts, such as satellites, have traditionally been carried out through dedicated links. Shared links using Internet Protocol-based communication offers a number of advantages over dedicated links. The movement of spacecrafts however gives rise to issues in seamless data communications with space. This talk will discuss various mobility management solutions for extending the Internet connection to spacecrafts for seamless data communications. The talk with provide an overview of the network layer based solution being developed by the Internet Engineering Task Force and compare with the transport layer based solution that have been developed at University of Oklahoma in conjunction with the National Aeronautics and Space Administration. Network in motion is an extension of the host mobility protocols for managing the mobility of networks which are in motion, such as those in airplanes and trains. The application of networks in motion will be illustrated for both terrestrial and space environment. Biography: John N. Daigle is Professor of Electrical Engineering and Assistant Director of the Broadband Wireless Access and Applications Center at the University of Mississippi, Oxford. He was formerly a Principal Engineer for the MITRE Corporation in McLean, Virginia, where he was responsible for research direction in the MITRE Washington Networking Technical Center. His experience in electrical communications dates back to 1970 and includes experience both in industry and academia. Prof. Daigle has taught in a wide variety of areas related to computing and communications. His research results have been published in leading IEEE technical conferences and IEEE and ORSA journals. He is also the author of the text books Queueing Theory for Telecommunications, published by Addison-Wesley and Queueing Theory with Applications to Packet Telecommunication, published by Springer-Science+Business Media. Prof. Daigle is a Life Fellow of the IEEE and is active in that institute's activities. He has served as Editor-in-Chief of IEEE Network and IEEE Communication Surveys and Tutorials and in other editorial capacities. He served on the IEEE Communications Society's Board of Governors and has served on numerous technical program committees of IEEE conferences. He is a past chairman of the Society's Technical Committee on Computer Communications and received the 2004 Outstanding Service Award in recognition of his long-time contributions and service to the TCCC. Prof. Daigle was a visiting researcher at IBM Zurich Research Laboratory (1999-2001) and at the University of Perugia (2002). More recently he was an Erskine Fellow at the University of Canterbury (2009), where he taught software defined radio. He holds BS and MS degrees in electrical engineering from Louisiana Tech University and VPI & SU, respectively. His doctorate, from Columbia University, is in operations research. Abstract: A fountain code is a code that is capable of generating an essentially infinite number of encoding symbols through forming linear combinations of a finite number of source symbols. In order to transfer a block of data, the data is first partitioned into a number of source symbols, then encoding symbols are formed, and each encoding symbol is transferred over the network together with an identifier that reveals the structure of the encoding symbol. The result at the receiving end is the equivalent of a linear system of equations in which the souce symbols are unknown. In principle, the linear system can be solved when a sufficient set of linearly independent equations, that is, encoding symbols, have been received. The utility of fountain codes for content transfer is, of course, heavily dependent upon how well the encoding and decoding processes are designed. This presentation provides a brief introduction to RaptorQ codes, which are a specific class of fountain codes, and then discusses a number of areas where fountain coding has the potential to greatly simplify reliable data transfer and improve efficiency in the expanding Internet. In each of the areas, advantages of protocols based on fountain coding over traditional protocols will be discussed and the claims will be substantiated through the presentation of an example protocol. In some cases the advantages will be illustrated through the presentation of measurement results on real operating networks or test beds. Challenges in maximizing efficiencies will also be discussed. Abstract: Although the term of green has been often used to refer to energy consumption reduction or energy efficiency by many people and literatures, green actually should refer to environmental sustainability in more general senses. Environmental sustainability issues have been important topics for recent years, which has impacted and will further impact individuals, enterprises, governments, and societies. Environmental sustainability is not simply regarding reducing the amount of waste or using less energy, but relevant to developing processes leading to completely sustainable human society in the future. The long term consequences of the relevant serious issues have not yet been fully forecasted, but it has been generally accepted in many communities that immediate responses are necessary. From 30 November to 12 December 2015, the 21th United Nations Climate Change Conferences of the Parties (COP 21) was held in Paris, France, as the a historical breakthrough and milestone towards securing the future Earth, a global agreement on the reduction of climate change, the text of which represented a consensus of the representatives of more than 193 countries attending it, which was a profound milestone for global environmental sustainability. Nowadays there is another significant tendency on how to process the enormous amount of data, big data. An interesting question is whether there are inherent correlations between the two tendencies in general. To answer this question, this talk would address how to green big data systems in terms of the whole life cycle of big data processing as well as big data technologies towards various green objectives. Biography: Dr. Biplav Srivastava, Senior Researcher & Master Inventor, IBM Research and an ACM Distinguished Scientist and Distinguished Speaker. His research deals with enabling people to make rational decisions despite real world complexities of poor data, changing goals and limited resources. His expertise is in Artificial Intelligence, Services and Sustainability, and has over 20 years of experience, primarily in research, working with collaborators, customers, governments and universities around the world, resulting in many science firsts and commercial innovations, 100+ papers and 35+ US patents issued. His current focus is on how AI techniques can be used along with open data and APIs for real world usage applications in Smart City (Sustainability) and enterprise integration. As part of this, he represented IBM at W3C’s working group on Government Linked Data. Previously, he had explored influential services discovery and composition techniques in this space. Biplav received Ph.D. in 2000 and M.S. in 1996 from Arizona State University, USA and B.Tech. in 1993 from IIT-BHU, India, all in Computer Science. He actively participates in professional services globally including running the ‘AI in India’ virtual Google group, organizing conference tracks, workshops and tutorials, and as a Program Committee member for more than 50 events. More details can be found at:http://researcher.watson.ibm.com/researcher/view.php?person=us-biplavs. Abstract: Traffic management is a pressing problem for cities around the world. Moreover, it is a highly visible perspective of a city's life affecting all aspects of its citizens' economic and personal activities. Consequently, there is substantial governmental, academic and commercial interest in addressing this problem. Information Technology (IT) in general, and Artificial Intelligence (AI) in particular, can contribute significantly to traffic management with analytics for citizens (demand side) and operators (supply side) in what is called Intelligent Transportation Systems (ITS). For citizens and businesses, we discuss techniques to enable efficient movement of people alone as well as in groups. For operators, we discuss techniques to assess the state of transportation network using available information and take decisions is short- and long- term. We specifically focus on unique situation in cities of developing countries where instrumentation to collect precise traffic data is limited but new avenues to collect aggregate data are feasible. AI /IT techniques covered are: open data, data mining / learning, knowledge representation, planning, scheduling, simulation and stochastic techniques. 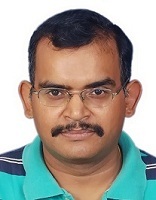 Biography:D.~Manjunath received his BE from Mysore University, MS from IIT Madras and PhD from Rensselaer Polytechnic Institute in 1986, 1989 and 1993 respectively. He has been with the Electrical Engineering Department of IIT Bombay since July 1998 where he is now a Professor. 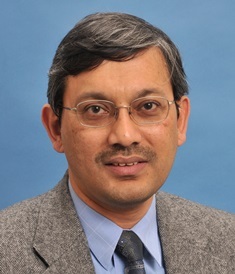 He has previously worked in the Corporate R&D Center of General Electric in Scehenectady NY (1990), Computer and Information Sciences Department of the University of Delaware (1992-93), Computer Science Department, University of Toronto (1993-94) and the Department of Electrical Engineering of IIT Kanpur (1994-98). At IIT Bombay, he has been the Head of the Computer Centre during 2011-2016. His research interests are in the general areas of communication networks and performance analysis. His recent research has concentrated on random networks with applications in wireless and sensor networks, network pricing and queue control. He is a recipient of the best paper award at ACM SIGMETRICS 2010. He has been an associate editor of IEEE Transactions on Networking, Queueing Systems: Theory and Applications, and of Sadhana: The Proceedings of the Indian Academy of Sciences. He was TPC chair for COMSNETS 2011 and NCC 2015 and general chair for ACM MobiHoc 2013 and COMSNETS 2015. He is a coauthor of two textbooks, "Communication Networking: An Analytical Approach" (May 2004) and "Wireless Networking" (Apr 2008), both of which are published by Morgan-Kaufman Publishers. Abstract: The Internet is designed to efficiently to transfer bits of content from a provider to a user. A key feature of this design is an egalitarian network that is agnostic to the contents of the data packets. With content being monetised through advertisements, subscriptions and a myriad other means, the economics of the transfer of bits is being analysed and debated. An important chapter in this debate is network neutrality, the requirement that the network treat all packets equally. In this talk I will examine the economics of network neutrality and provide an overview of the various issues that have been raised. I will also provide an overview of the state of the art of the analysis of the effect of differential pricing, a non neutral network structure that was the subject of a wide debate recently. This debate and discussion is expected to be resurrected again.